Lenny on the Corner of 65th and Broadway! From Penn to Central Park in 60! Being a native of Nassau County, Long Island, I was delighted to receive an invitation to compose a new work for the Division V All-County Band. Growing up just outside of NYC, and having lived the past 12 years of my life in two other major cities (outside Washington, D.C. and currently in Los Angeles), the spirit of living in a busy, vibrant city has never left me. But there truly is no greater city than New York. 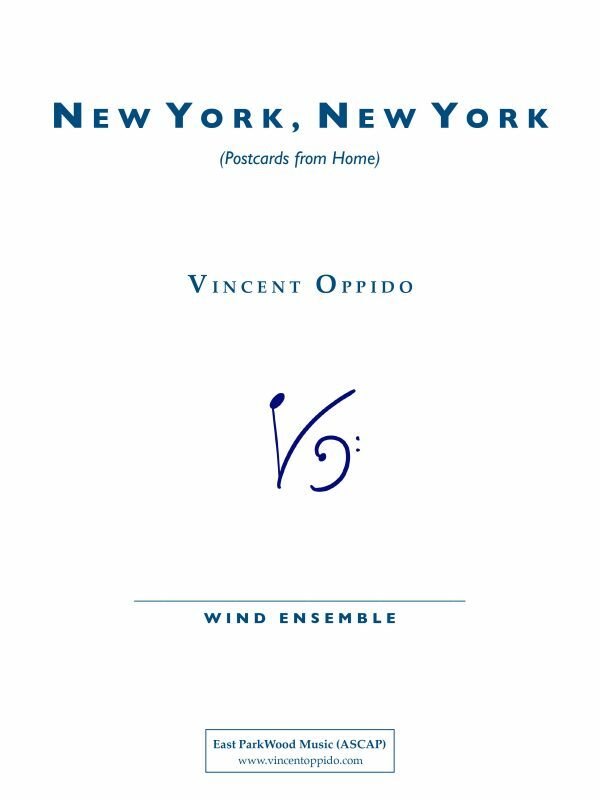 In conceiving New York, New York, I chose to create a multi-movement work made of little musical postcards. One may notice that New York, New York shares its title with the great anthem performed by Frank Sinatra, and a song from Leonard Bernstein’s On The Town. My choosing of this title bears no musical connection to these works. Rather, it is merely an exclamatory presentation of the address for the center of the world.